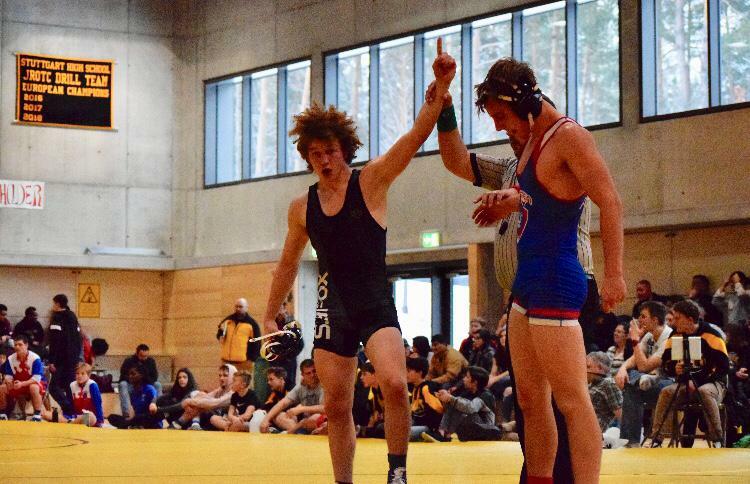 This weekend HPM’s American wrestler, Jacob Caricato traveled to Stuttgart, Germany to compete in a Folkstyle competition. In the competition, there were seven American high school wrestling teams and Jacob. Jacob wrestler in the 145 +2 pound weight class (66.6 kilograms). He was in a twelve man bracket. Jacob wrestled aggressively and pinned two of his opponents, teched his third opponent and had a major decision over his final opponent, earning him a first place finish. Jacob will possibly return to compete in the Folkstyle European Championships. Jacod would have been good strengthens for the junior team in Estonia as well.